Here it is, my absolute most favorite cake in the whole wide world. 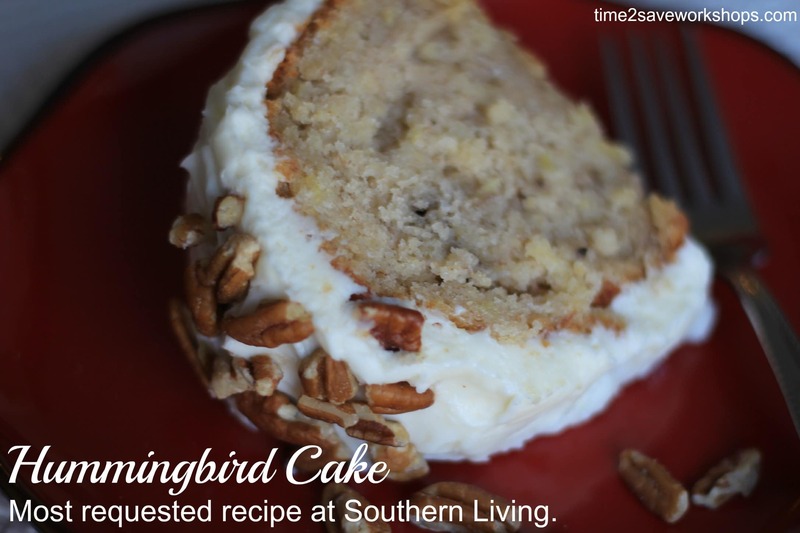 It’s the most requested recipe at Southern Living, honestly it’s hard to describe in words just how good this cake is!! 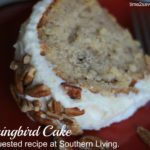 If you are looking for the perfect cake recipe, here it is!! Besides being unbelieveabley delicious, it’s super easy to make – literally just dump and stir the ingredients for the cake. Only the frosting requires a mixer, if you make it homemade. Stir together flour and next 4 ingredients in a large bowl; add eggs and followed by next 4 ingredients, stirring just until dry ingredients are moistened. Bake at 350° for 1 hour to 1 hour and 10 minutes or until a long wooden pick inserted in center comes out clean. Cool cake in pan on a wire rack 10 minutes; remove from pan to wire rack, and cool completely (about 2 hours). Cream 1 stick of butter and cream cheese for 2 minutes, gradually add powdered sugar; continue beating. Add 1 teaspoon vanilla until well blended. When cake has completely cooled, frost add pecans on top if desired. Now for a little funny. For the past couple of months, I’ve been trying to learn the art of photography. The other day when I was photographing the cake, I set the piece of cake aside so I could photograph the whole cake. 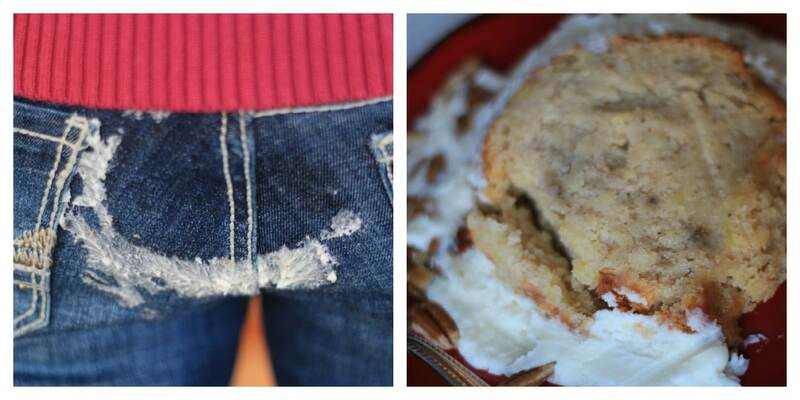 Normally that wouldn’t be a problem, except I forgot that I had set the piece of cake on the arm of a chair. The same arm that I sometimes sit on to take pics. Lesson learned……..I need to move plates of food I’ve already photographed out of the room when I get finished. Otherwise, I might sit on it! Just made this cake today. It is delicious. I only made half a recipe but used two eggs. Of course, I adjusted the baking time. Toothpick tested to be sure. It comes put so moist and yummy! I will make this one again. Thanks for sharing. Fantastic! Glad you loved it.